Pinkie spent June residing in the staff offices of the Guggenheim Museum. 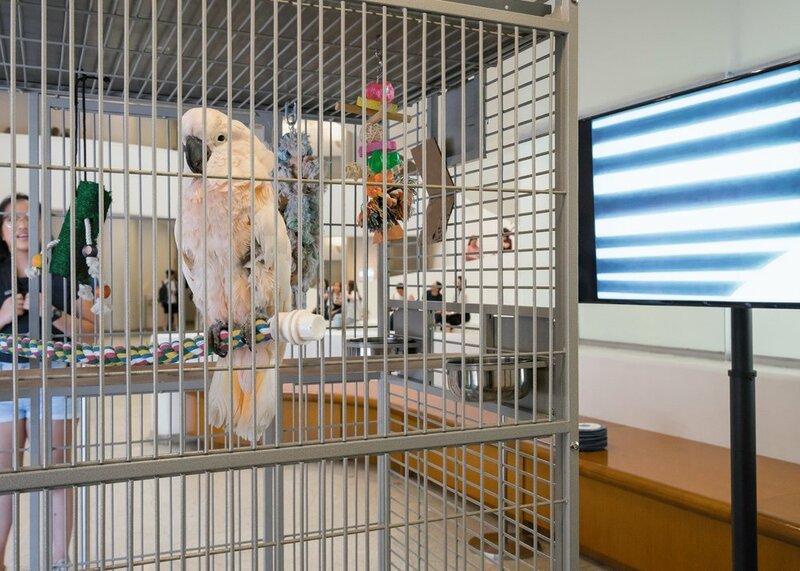 During select times, she was also on view to the public throughout the month. The museum organized a variety of programs for and around her. 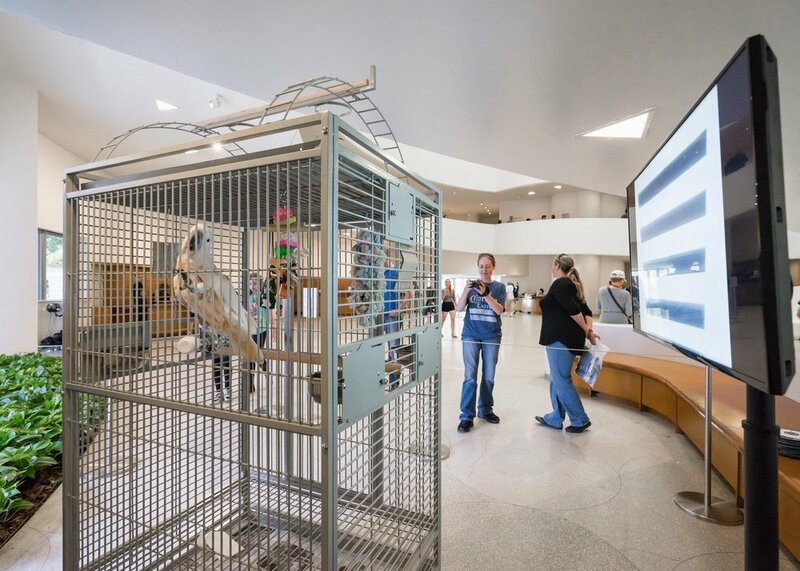 These included a film series specially curated for her, displayed on a monitor beside her cage on the rotunda floor, featuring a selection of non-objective films that were supported by the Guggenheim's founding director Hilla Rebay in the early 20th century. 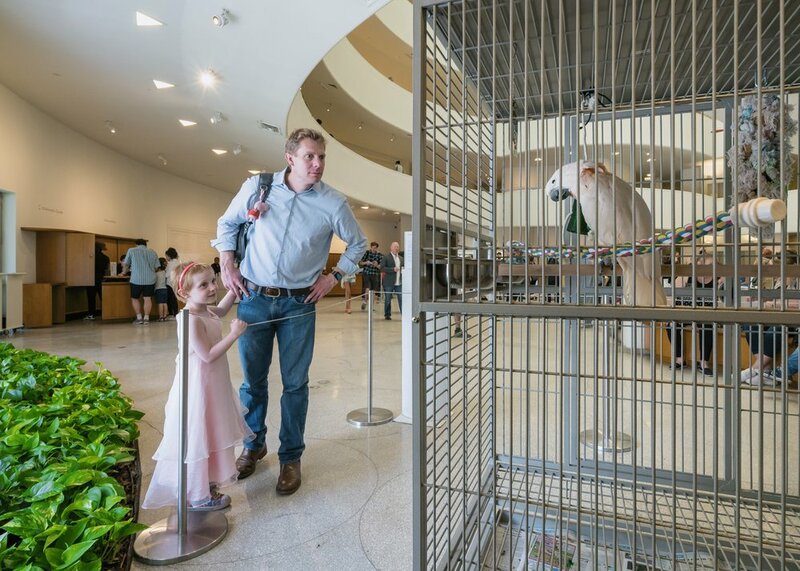 In addition, educators led special public tours that responded to Pinkie's presence in the museum, including a Bird's Eye Tour which guided visitors on an exploration of bird-themed artworks on view.